New businesses make our hearts go pitter-patter. 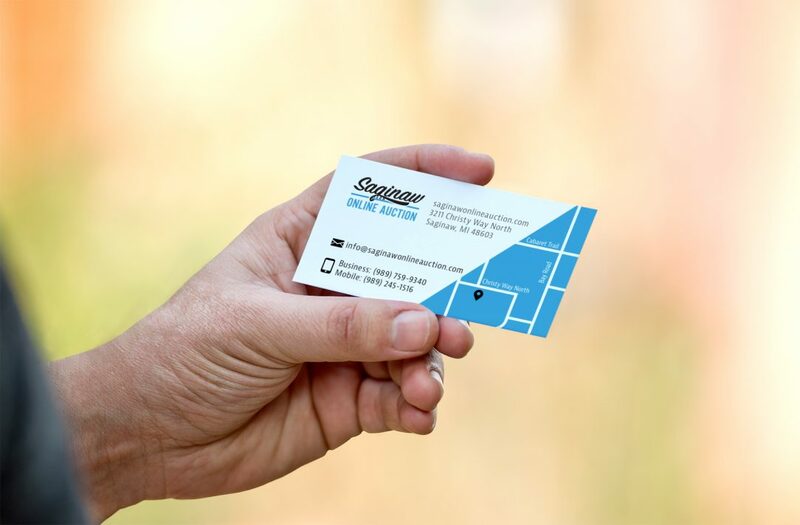 We loved every minute of helping Saginaw Online Auction create its brand. We designed a smart, clean logo for this fun auctioneer. Take a closer look at the logo and you’ll see the Zilwaukee Bridge. The area landmark inspired this design. We also created business cards, envelopes, and letterhead to give the company a consistent logo and build their brand in the community.